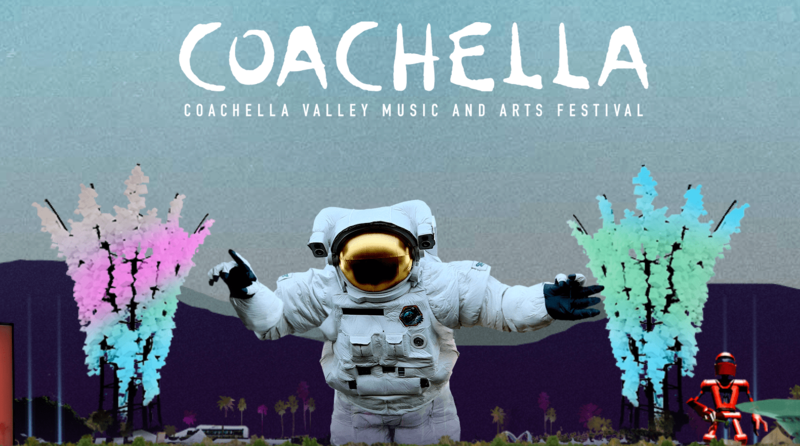 With Coachella approaching quickly, the number of performing acts over the two weekends may seem overwhelming, which is why we’re here to break down the top 7 indie acts you should totally catch while you’re at the festival. Of course headliners, Drake, Jack White and AC/DC are givens but there are numerous acts whose performance can be a springboard towards growing their fanbase and/or catapult them into headlining themselves one day. Alt-J has a really unique, cool hometown sound that you can’t quite get anywhere else. They embrace this wholeheartedly and they made their band’s symbol the delta sign (∆) which means change or difference. The band went to the top of the charts in the U.K. before spreading their infectious sound to the U.S. Check them out if you want to hear something new and catchy. Hozier is a solo musician from Ireland, who blew up after the release of his first EP in 2013 titled Take me to Church. His soulful sound filled the airwaves of radio stations across the U.S. all last year and was nominated for Song of the Year at the 2015 Grammys. Catch him if you like slow, soulful music with meaning. Milky Chance brings an upbeat, more synthetic sound to the indie scene. The duo consists of Clemens Rehbein who is in charge of vocals and actual instruments and Philipp Dausch who is in charge of DJing and production. The two hail from Germany where electronic music was born and is still very much alive. They have found a small niche that no one quite knew they were looking for until Milky Chance hit the scene. Catch them if you dig electronic music and want to hear a fun, original sound. Andrew McMahon keeps it pretty traditional Indie in his style of music, with heavy influence on keyboard instrumentals and the occasional tambourine. He leans a little more toward the pop side of the scene and climbed to the tops of charts pretty quickly following the release of his album in summer 2014. His song written in dedication to his daughter helped fuel his quick rise in popularity as Cecilia and the Satellite could be caught on countless radio stations across the country over the past year. Catch them if you like a more upbeat, pop sound. Bad Suns keeps things a little more on the Alternative side as they have a bit more of a rock feel than most Indie bands. They claim most of their influence comes from rock bands of the 70’s and 80’s and much of this angst can be heard and felt throughout the entire freshman album: Language and Perspective. Formed in 2012, the band released their first EP Transpose in 2013 featuring their two singles: Salt and Cardiac Arrest. Catch them if you like an alternative rock sound. Fitz and the Tantrums is a very standard Indie band that makes use of such instruments as saxophones regularly throughout their songs. The band formed in 2008 and by 2009 was touring with the likes of Maroon 5 after Adam Levine discovered their music, in 2010 the band also played a very important set at SXSW in Austin. After playing many opening acts and late night shows, the band released their sophomore LP More Than Just a Dream in 2013, containing the no. 1 hit, “Out of my League” which then led to their own international tour. Catch them if you dig a traditional Indie sound with pop influence. Florence + the Machine was one of the first Indie artists to bring the genre into the mainstream. Florence Welch, lead singer, brought the band together in 2007 and received praise, mostly from the BBC, in London before releasing their first album, Lungs, in July of 2009 which held the no. 2 spot on the charts for five consecutive weeks that summer. The band’s sophomore album, Ceremonials, immediately went to no. 1 in the U.K. and no. 6 in the U.S. in October 2011, following a Grammy nomination for Best New Artist in February of 2011. Catch them if you like soulful, true Indie music and female lead vocals.